Plaster of Paris or POP as it is popularly known in short is being used in the construction industry for over 40 years. It is also called as Gypsum Plaster and is commonly used as a material for the purpose of building. Currently, it is applied in creating decorations for buildings, plaster boards, moulds and fibrous plaster, which are utilized for various applications. At times, they are used along with cements at the construction sites in various cities across the globe. The POP manufacturing process tends to involve setting, rehydration and manufacture. 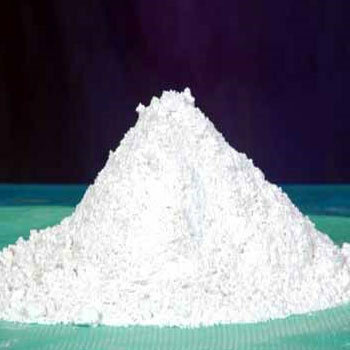 An important raw material utilized in POP manufacturing is Gypsum. Right before its usage, it gets dried at a mill which is heated after grounding it. It results in the creation of a smooth powder that gets transferred into huge kettles that are made from steel. The kettles then are placed on gas burners. For stirring the contents internally in the kettle, rotating paddles get used for preventing overheating. As it heats, the steam escapes from crystallization water, thereby resulting in calcinations. This is because of the boiling gypsum. Here, the temperature is to be controlled very carefully for preventing loss of water in excess including that of unnecessary side reactions. As temperature is brought under full control, the 2 anhydrides are allowed, which are not necessary for remaining within the highest permitted availability being 5% and 2% respectively. As the right temperature gets achieved, the plaster then is transferred into pits, to help it get cool quickly and to ensure that there is prevention of more calcination. Subsequently, it is then placed in big silos once, it is grounded. Few gypsum plaster gets sold while majority of them is moulded, being used in buildings. For using the plaster the right way, water is to be included in it. 18.3 water parts would be necessary for every one hundred plaster parts, based upon its required weight. Besides water, there are other additives which are to be included to the plaster like potassium sulphate, detergent, ground gypsum, lignosulphonates, starch, cement, etc. As the plaster sets, heating is then used for removing the residual water that exists in the plaster. For this purpose, a common heating procedure gets applied like the same being placed in the oven having temperature per hour of about 250o C. The other alternative present is to expose the plaster to wind in covered outdoor racks. As the plaster gets completely dry, excess water amount to around only 0.5% would exist in it. Pores over 50% of normal quantity of plaster remains in cast by water. However, there is present the option of including several types of additives like potassium sulphate, detergent, ground gypsum, lignosulphonates, starch and cement for changing its density. The setting’s reaction features period of induction, if no significant occurrences are noticed. This period is stated to be just perfect to mix the additives and for mould filling. Subsequently, the plaster becomes solid mass which could be easily extracted. Now, one can plaster of Paris buy and use it for the construction purpose.